"Marissa Stapley's writing is a gift." --Pam Jenoff, New York Times bestselling author of The Orphan's TaleThe Harmony Resort promises hope for struggling marriages. Run by celebrity power couple Drs. 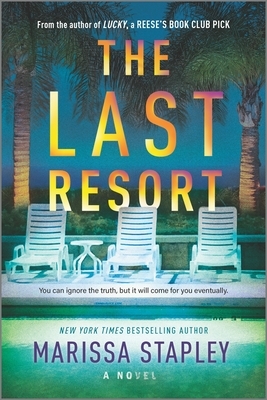 Miles and Grace Markell, the "last resort" offers a chance for partners to repair their relationships in a luxurious setting on the gorgeous Mayan Riviera.Johanna and Ben have a marriage that looks perfect on the surface, but in reality, they don't know each other at all. Shell and Colin fight constantly: after all, Colin is a workaholic, and Shell always comes second to his job as an executive at a powerful mining company. But what has really torn them apart is too devastating to talk about. When both couples begin Harmony's intensive therapy program, it becomes clear that Harmony is not all it seems--and neither are Miles and Grace themselves. What are they hiding, and what price will these couples pay for finding out?As a deadly tropical storm descends on the coast, trapping the hosts and the guests on the resort, secrets are revealed, loyalties are tested and not one single person--or their marriage--will remain unchanged by what follows.Marissa Stapley is a journalist and the author of the acclaimed novel Things to Do When It's Raining. She writes page-turning, deeply emotional fiction about families, friends and women's lives.